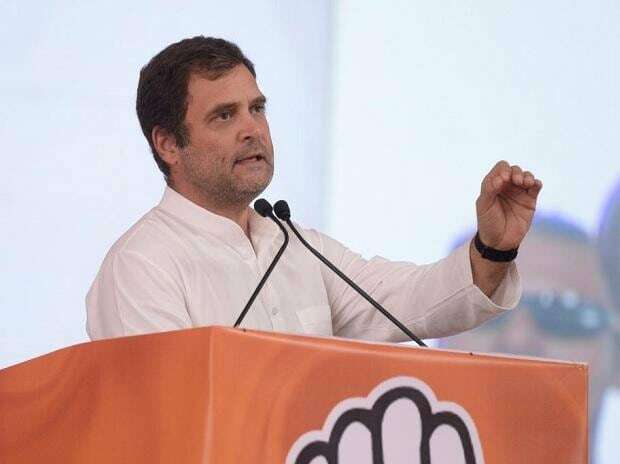 All India Congress Committee (AICC) in-charge of Telangana R C Khuntia told PTI that a recommendation to this effect was sent to the party's central leadership for approval. The Congress had struck a seat-sharing deal with the Telugu Desam Party (TDP), the Communist Party of India (CPI) and the Telangana Jana Samithi (TJS) for the state Assembly polls held in December 7 last year and the four parties had contested the election under the banner of "Prajakutami" (People's Front). Asked if the Congress would reach out to the TDP, CPI and TJS for support in the coming Lok Sabha polls, Khuntia said, "We are talking to them. We have good relations (with them) and (we will) appeal to all parties to support us." The TJS, meanwhile, confirmed that the Congress had approached it for support in the Lok Sabha election. "They (Congress) requested us to support them in the parliamentary election. Our state committee will take a final decision (on the request)," TJS president M Kodandaram told PTI. The "Prajakutami", which had taken on the ruling Telangana Rashtra Samithi (TRS) in the state Assembly polls, came a cropper with the Congress winning 19 seats and the TDP two in the 119-member House. The CPI and the TJS had drawn a blank. Kodandaram expressed hope that the alliance would continue in the Lok Sabha polls as well. "I would say the form may change but in some form or other, understanding and alliance may continue," he said. A senior leader of the TDP, led by Andhra Pradesh Chief Minister N Chandrababu Naidu, admitted that a section of the Congress was not in favour of the alliance but "some important leaders" of the grand old party wanted it to continue. TDP sources said a final call on what needed to be done by the party during the polls in Telangana would be taken by Naidu, who was in touch with Congress president Rahul Gandhi. Meanwhile, the Communist Party of India (Marxist), which had forged the Bahujan Left Front with several parties for the Assembly polls, has reached out to the CPI for an understanding for the parliamentary election, sources said.